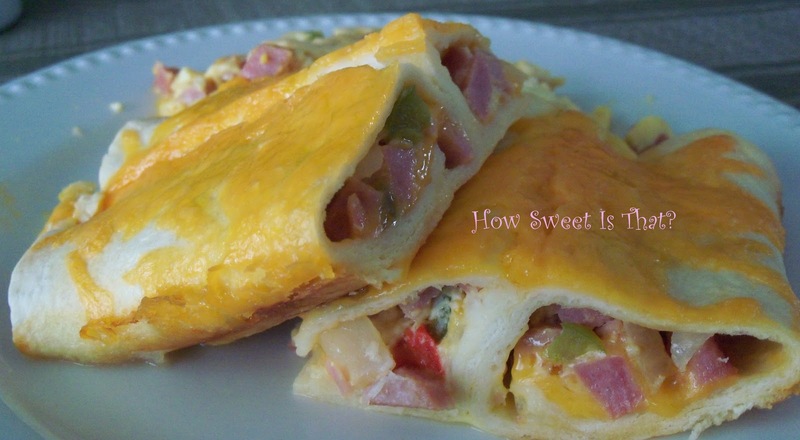 This is a great make-ahead breakfast idea. It's also a great way to use up leftover ham. In a non-stick skillet, heat oil over medium hear, cook onion, garlic and green and red peppers for about 5 minutes or until softened. Stir in ham. Place about 3 tablespoons onto half of each tortilla; sprinkle each with about 3 tablespoons of cheese. Roll up tightly and place, seam side down, in a greased 9" x 13" baking dish. In a medium bowl, beat eggs; blend in milk, flour and hot pepper sauce. Pour over tortillas. Cover and refrigerate over night or for up to 12 hours. Remove from refrigerator 30 minutes before continuing. Bake, covered with foil in a 350 degree F oven for 45 to 50 minutes or until egg mixture is set and knife inserted in centre comes out clean. Sprinkle with remaining cheese, let stand for 5 minutes. These heavenly bars are a little time consuming, but well worth the effort. They are part bar cookie and part candy. 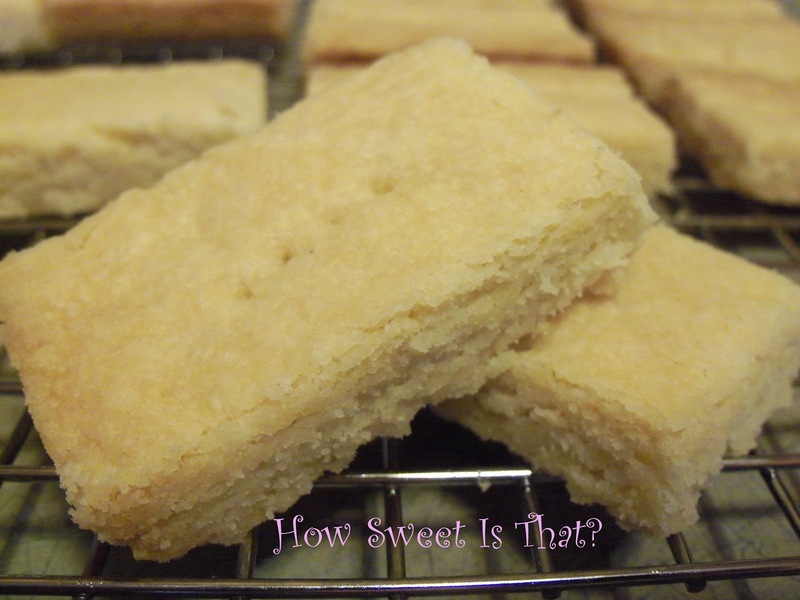 I found the recipe about five years ago and have made them every year since at Christmas. They are as delicious as they are attractive. In a large bowl, cream butter and sugar until light and fluffy. Beat in egg. Gradually add flour and mix well. Refrigerate for 30 minutes or until easy to handle. Press dough into an ungreased 15-inch x 10-inch x 1-inch baking pan. Bake at 375 degrees F for 7 to 9 minutes or until lightly browned. Meanwhile, in a large heavy saucepan, combine the sugar, cream, butter and honey. Cook stirring occasionally, until a candy thermometer reads 246 degrees F (firm-ball stage). Remove from heat; stir in the almonds, cherries and currants. Spread evenly over the crust. Bake for 18-22 minutes or just until filling is set. Cool completely on a wire rack. Refrigerate overnight. Remove Florentine from pan. With a sharp knife, trim edges of crust, discard the trim. Cut lengthwise into six strips; cut each strip into 16 triangles. In a microwave-safe bowl, melt candy coating; stire until smooth. 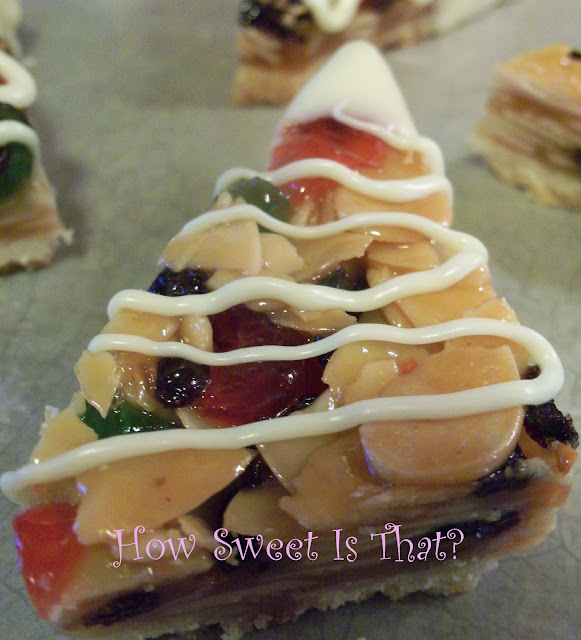 Dip the short side of each triangle into candy coating, place on waxed paper. Drizzle with additional candy coating. Let stand until set. Cover and store in the refrigerator. I like my gingerbread cookies thin and crispy. If you like them thick and chewy, roll the dough to 1/4-inch thickness. In a saucepan or in the microwave, melt the butter. Stir in sugar, molasses, salt and spices. Transfer the mixture to a large mixing bowl. Let it cool to lukewarm, then beat in the egg. In a medium bowl, whisk the baking powder and soda into the flour. Stir the dry ingredients into the molasses mixture. Divide the dough into four circles and wrap well. Refrigerate for 1 hour or longer. Using one disc at a time, roll the dough out to 1/8-inch thickness. I like to roll my dough between two sheets of parchment. That way, you aren't adding more flour to your dough. It tends to become tough when you add additional flour. If you prefer a more chewy texture to your cookie, roll to 1/4-inch. Transfer cookies to an ungreased cookie sheet. Bake the cookies just until they're slightly brown around the edges, 8 to 12 minutes, or until they feel firm. Let the cookies cool on the baking sheets for several minutes or until they're set. Tranfer them to a rack to cool completely. Repeat with remaining dough. This recipe makes 6 dozen 3" cookies. It is easily halved.